"EXCELLENT SERVICE, VERY FRIENDLY AND KNOWLEDGEABLE." We have been shopping there for many, many years. Thank you for always giving us excellent service. "This is what service should be!" I have been shopping at Cryan jewelers for about 5 years now. After stopping in there one holiday to buy Pandora jewelry, I was struck by the friendly and knowledgeable service. My thought was, everything in this place is quality, including the service. So a couple of years ago, when the diamond on my wife's engagement ring came loose, I didn't hesitate to take it to Cryan. The ring was falling apart after the many years of wear and John did everything he could to repair it. When it became clear that it was beyond repair, John worked with my wife to find a suitable replacement and did a beautiful job moving the diamonds to a new setting. While my wife was at first upset that the old ring couldn't be repaired, she was thrilled with the new ring. And, she couldn't stop talking about how great Cryan was. That sealed the deal for me! I have continued to shop there any time I'm looking for jewelry and they will always get my business. I would recommend them to anyone in need of jewelry and/or jewelry repair. Thank you so much for everything you have done for us. Our rings are amazing and out wedding party gifts were a huge hit! Everyone loved them. 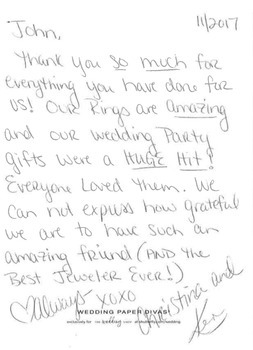 We cannot express how grateful we are to have such an amazing friend (and the best jeweler ever). 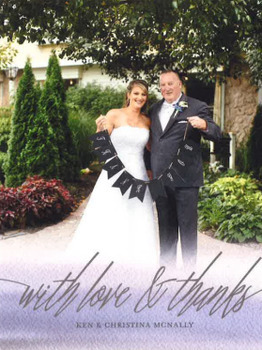 "We have always had positive experiences..."
Over the many years that my wife and I have been your customers, we have always had positive experiences and have been delighted with our purchases. In fact, our sons and daughters as well as members of our extended family have become your customers, at our recommendation. 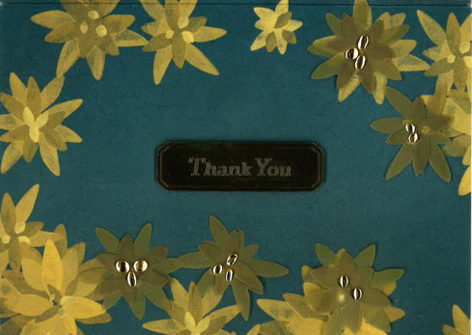 However, I would like to acknowledge and express my personal appreciation for the courtesy you showed recently. 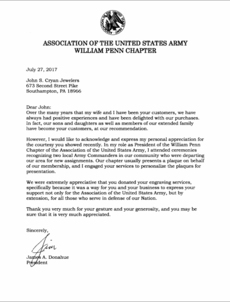 In my role as the President of the William Penn Chapter of the Association of the United States Army, I attended ceremonies recognizing two local Army Commanders in our community who where departing our area for new assignments. Our chapter usually presents a plaque on behalf of our membership, and I engaged your services to personalize the plaques for presentation. We were extremely appreciative that you donated your engraving services, specifically because it was a way for you and your business to express your support not only for the Association of the United States Army, but by extension, for all those who serve in defense of our nation. Thank you very much for your gesture and your generosity, and you may be sure that it is very much appreciated. I brought a family heirloom in for an assessment of the value. John was very patient and provided very helpful information / education about the process. I was anxious to leave the piece but he walked me through all those concerns as well. I left the store very confident. I would definitely use his services again and recommend him highly. Thank you a John ! "Thank you so much for your help with my Opal project"
Thank you so much for your help with my Opal project. I got an A+. 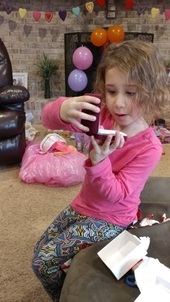 "Thank you for the pearl necklace"
So many thanks for the pearl necklace, my little 6 year older loved it, check out the two pics that capture her excitement. You have my permission to post them. 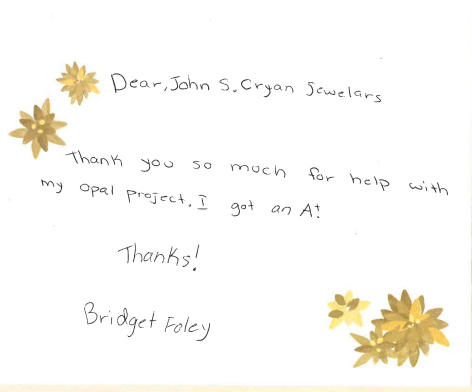 "Our family welcomes an opportunity to write a review for John S. Cryan Jeweler"
Our family welcomes an opportunity to write a review for John S. Cryan Jeweler... We have been patrons for many, many years (1990's) therefore have multiple experiences upon which we can reflect...to render a five star rating. We can honestly say that John has helped us to celebrate anniversaries, weddings, birthdays, graduations and engagements...All of life's most precious memorable events. He and his staff (John Jr., Sandy, Liz and Tina) and of course his wonderful wife, Susan. Individually and sometimes together, they have offered suggestions, spent the time and went the "extra mile" to help up make life's special occasions last a lifetime... actually last forever... generation after generation. We have purchased rings, watches, bracelets and charms for our loved ones... all with different price points, some engraved, each beautifully wrapped. All of our treasured pieces of jewelry, after purchased, have not been forgotten... cleaning, polishing, new batteries, clasps, jump rings (learned term), appraisals, etc. 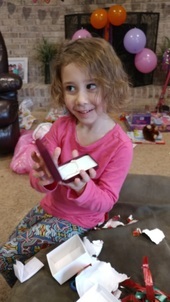 The care John and staff take with brand new treasures is exceptional, but equally as exceptional with our older grandparent timepieces, rings and charms... all entrusted into experienced, respected, qualified and trustworthy hands. Our family is a loyal patron because John S. Cryan bases his family business on "old fashioned values", trust, courtesy, honesty, and reputation for three generations. Great customer service! I found Cryan Jewelers on the web and went there based on customer reviews. They made some watch repairs and replaced some watch batteries for me and I made a small purchase at their store. They lived up to their reputation for customer satisfaction. I will definitely be a repeat customer! "Thanks for being my jeweler"
My experience with Cryan has been a favorable one. They are very good at what they do and very helpful & honest. I would recommend them to everyone. Mr. Cryan has gone over and above to help me & to save money. Thanks for being my jeweler.